Apple iPhone 8 and 8 Plus have topped the scores when it comes to mobile camera photography. According to the camera testing site DxOMark, the iPhone 8 devices have best smartphone cameras the site has ever tested. 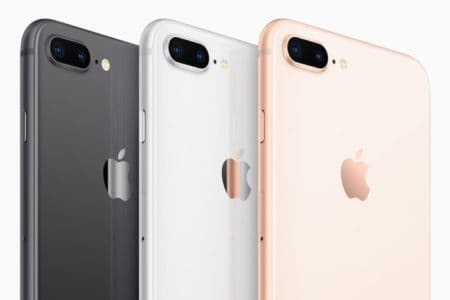 The site lists Apple’s iPhone 8 series ahead of the Google Pixel and HTC U11 which had the previous highest scores of 90. According to DxOMark’s blog, the iPhone 8 scored 92 while the iPhone 8 Plus scored an excellent 94. The iPhone 8 Plus shines in photo taking with a record-breaking photo score of 96 while for recording videos it gets a score of 89(tied with HTC U11 and below the Pixel which has 91). DxOMark says that iPhone 8 builds on “excellent performance of the iPhone 7 family with even better results in bright light.” An improved exposure calculation and the ability to capture HDR (High Dynamic Range) scenes in a better manner when compared to iPhone 7 series has helped the smartphone beat out the previous leaders. Coming to the zoom department, the iPhone 8 Plus gets a score of 51 which is the highest zoom sub-score of any device the site has ever measured. Also, it is full five points better than its predecessor iPhone 7. The report mentions that the zoom and bokeh features that come with the iPhone 8 Plus are a major advantage over the iPhone 8. As for the issues pointed out by the camera testing site, the iPhone 8 and iPhone 8 Plus’ camera takes a bit of a time to focus in both bright and low light.